There are millions of car accidents that occur each year in the US. Of these, about 3 million result in injuries though not everyone who is injured submits an injury claim or attempts to collect any compensation. Those who do file claims either try to settle their claims alone or retain a personal injury attorney. If you were injured, you may question why you need a lawyer after a car accident? For minor injuries such as a sore neck or back for which you may have been to an Emergency Room, seen your doctor one time or decided to take pain medication on your own for week or two before the pain subsided, you might consider handling your own claim. The risk in doing this, however, is that for some car accident victims, more severe symptoms may not manifest for a few weeks or more. An injured disc or a persistent headache that you ignore or feel will eventually go away may be indications of a more serious injury. Be aware that once you accept the defendant insurer’s settlement offer and sign the settlement agreement, you may not later claim additional compensation. At least, consult with a Boston car accident lawyer if you live in the Boston area about your case. Injury lawyers will discuss your accident case for no fee and should advise you on the benefits of legal representation and let you make your own reasoned choice. Studies consistently show that injury claimants receive far more in compensation than those who handle their own claims, even considering the legal fees. 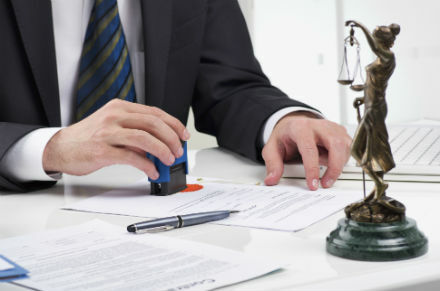 Personal injury lawyers are skilled negotiators, know how to present a claim with the proper damages and the supporting documentation to persuade insurance adjusters that settling now is in their best interest. Insurance adjusters look for ways to minimize the value of your claim. If you did not seek immediate care, went back to work the day after an accident, saw a chiropractor for the first time in your life or saw multiple health care providers, an insurance adjuster will seize on these facts to question the nature and extent of your injury or that you were injured at all. Lawyers can guide you through the process. Consequently, without a lawyer, a low-ball offer will usually be extended with a take it or leave it condition. Though you may think liability is clear, the other motorist will often give a different perspective or account of the facts and the insurer will usually accept this version. Do you know how to investigate an accident or to prove the accident was not your fault? Do you know what the insurance company is looking for? Also, your treating doctor may not have fully understood how your injury has impacted your life. Your injury lawyer can request that your health care provider provide a report detailing these aspects of your injury as well as opine as to the future medical costs. This can substantially increase your settlement demand and your eventual compensation. There may be other responsible parties involved. For example, your car or the one that struck you had a product defect or the roadway where your accident occurred was defectively designed or maintained. There are strict rules regarding notice and a limited time to bring a claim if a municipality or the state is a party. If an auto manufacturer is involved, elements of product liability must be satisfied as well as meeting the challenges of asserting a claim against a multi-billion dollar company. If the adjuster gives you a very low settlement offer or asserts its insured was not liable, your options are either to accept the low offer, forget about the claim, or retain a personal injury lawyer. 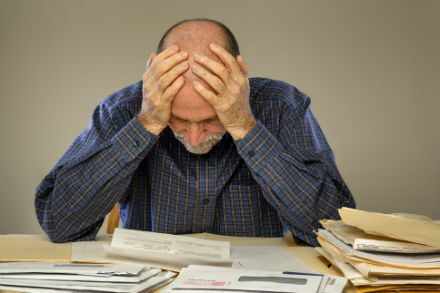 For many claimants who have reached this stage, however, they have made serious errors and irreparable harm to their claim. For example, many claimants willingly give a written or oral statement under oath in which they minimized their injuries, were unsure about liability, made unreasonable claims, or otherwise made comments that are now difficult to explain. Also, the statute of limitations for filing your claim may only be days or weeks away and you must make a decision soon or your claim will be forever barred. Most attorneys in personal injury cases operate on a contingency fee basis so that they only collect their fees if you obtain a settlement or money verdict. If you lose your case at trial or you or your attorney feel that liability cannot be proved, then you owe nothing to your attorney. Most contingency fees are one-third of a settlement for motor vehicle cases. If your case does have to be filed and litigated, the fee may increase. Personal injury cases can be more complicated and present more issues than many people realize. You have to accumulate a record of your injuries and damages and in such a way that the insurance adjuster or defense attorney will realize and appreciate the extent of your injuries and damages and that reasonable compensation must be paid to you. Call us today if you or a loved one was injured in a car accident.